There’s no doubt a lot of preparation goes into planning your big day but don’t forget, the lead up is just as important as the day itself. So when brides ask me to arrange a pre-wedding get together, I find there is nothing more perfect than the time-honoured tradition of an afternoon tea in London! The difference between having an afternoon tea in London with any other, is that no afternoon tea is the same. Each one has its own charm. The atmosphere of an afternoon tea is serene, it allows conversation to flow, ideas to develop, and bonds to strengthen. Not only can you relax and enjoy lovely food, the experience will be one that will be remembered for years to come. 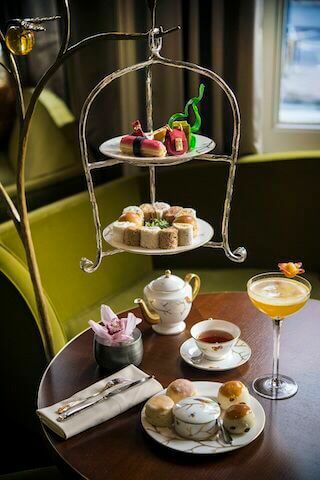 The essence of an afternoon tea in London is quintessentially English – so they must be all the same – I hear you say. Make no mistake, London is a diverse and unique city, each and every afternoon tea experience is different from another. 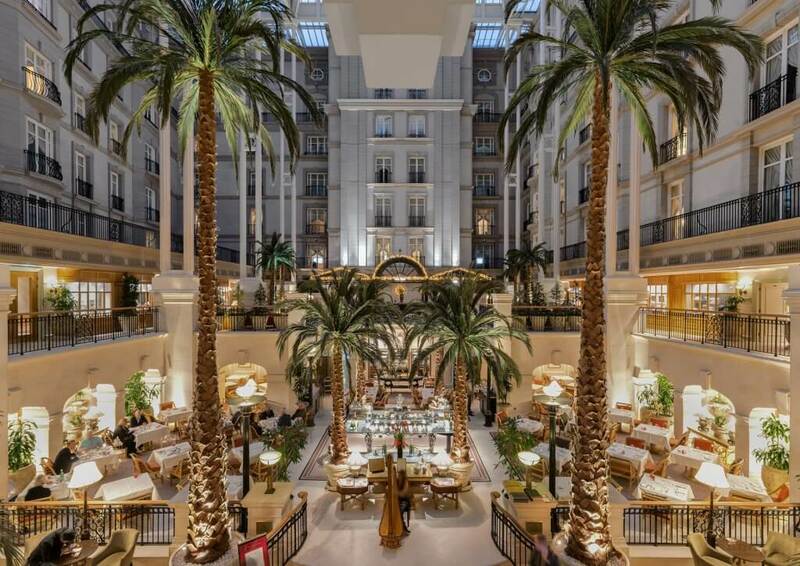 Set in the grand splendour of Palm Court! If you want to be pampered and made to feel extra special, then this is certainly an experience not to be missed. The food is indulgent and expertly made. Staff are incredibly attentive and with the pianist in the background you’ll feel you have arrived! 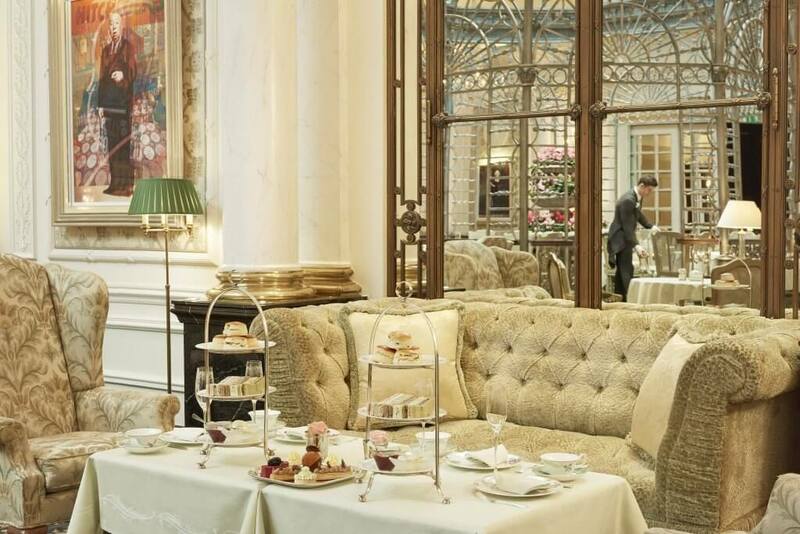 Afternoon tea at Claridge’s has been a tradition for more than a century. The interiors are art deco inspired and you can’t help but feel you’re in a scene from an Agatha Christie novel. Traditional sandwiches are served with delectable warm English scones, accompanied by a lovely selection of teas. Served in plush pink surroundings with rose gold accents and a soothing ambient lighting to set the tone. The restaurant is a gallery currently displaying the work of Turner Prize winner, David Shrigley. If its weird and wonderful you’re looking for, this is the place to be. The intimate and luxurious setting is certainly a talking point for pre-wedding meetings! 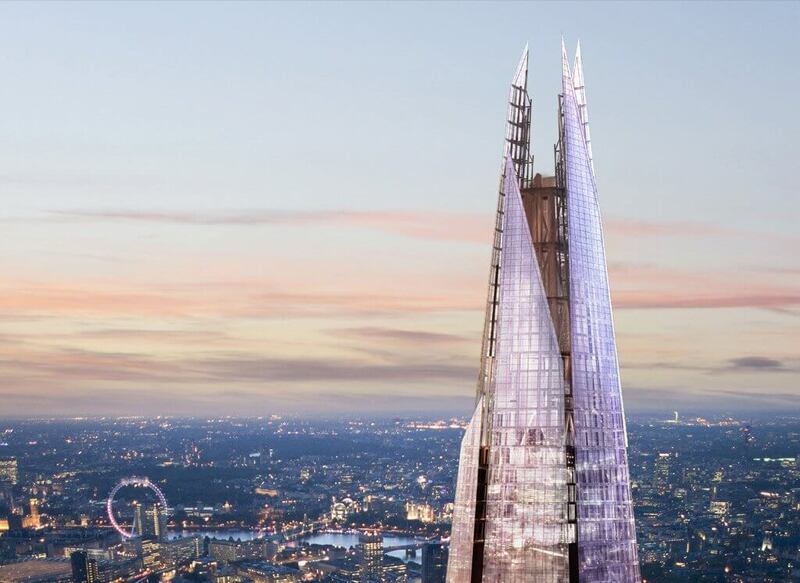 Situated on the 35th Floor at The Shard, this is afternoon tea not only with amazing food but also a beautiful view! There are two types of afternoon teas to choose from; the traditional English or the Asian option. The flavours are very fresh and light and incredibly tasty. The timings allow for bookings where you can watch the sunset and welcome the evening. 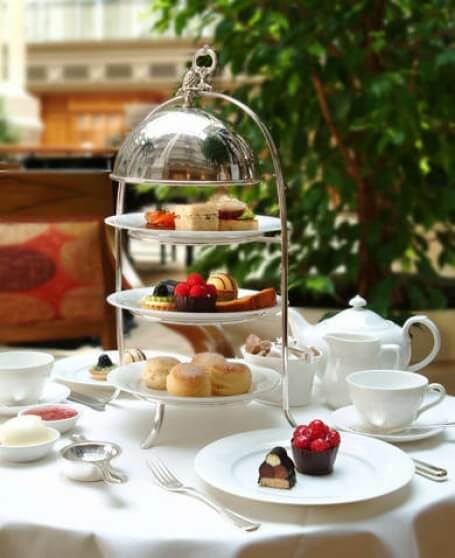 Certainly one of the best hotels in London offering an exemplary afternoon tea with top grade service. The atmosphere is relaxed and not rushed. You will definitely need to take your time as they will promptly top up your plates as you go along so make sure you have room for more! 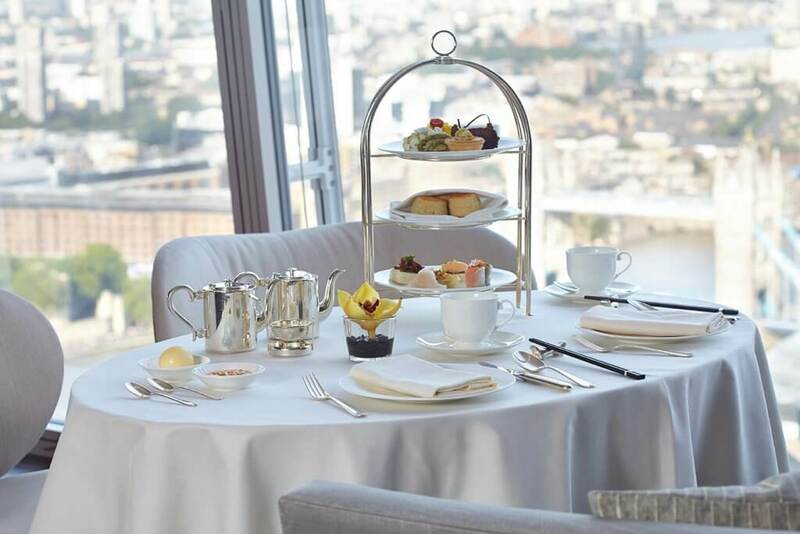 The afternoon tea at Oblix is also one with a spectacular view located on the 32nd floor. They use seasonal and local produce from London boroughs and incorporate the name of the borough into the name of the dish. A great modern twist on a traditional afternoon tea! Very well known as connoisseurs of teas, an experience of afternoon tea is not to be taken lightly at Fortnum and Mason’s. The luxurious setting and fine service will transport you to cloud nine! They accommodate for a broad spectrum of dietary requirements and make sure you don’t feel rushed by keeping the plates topped up! 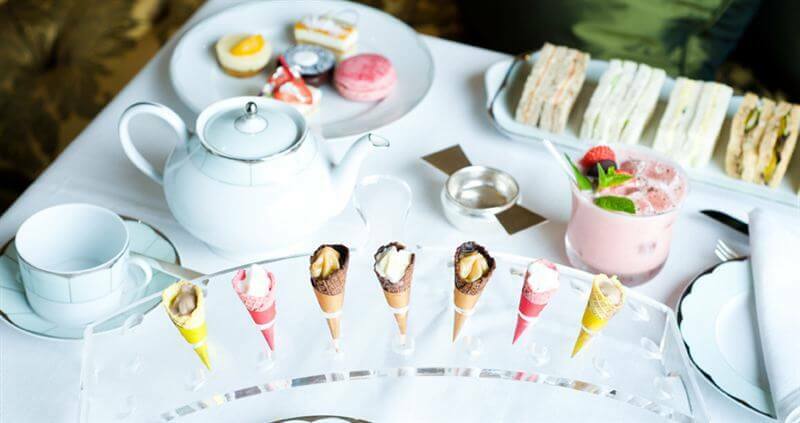 Afternoon tea at The Dorchester is distinctive as they also offer an ice cream champagne afternoon tea! It includes lovely sandwiches and French pastries all made in-house, along with some weird and wonderful flavours of ice cream in miniature cones. If you like to be delightfully surprised, then choose the ice cream afternoon tea at The Dorchester. 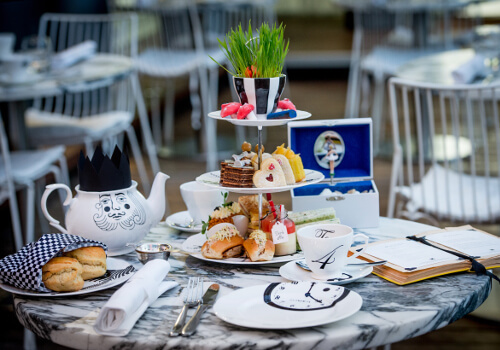 The Mad Hatters afternoon tea at the Sanderson is as nostalgic as they come. A stones throw away from the bustling Oxford Street where a spot of shopping afterwards will help to walk off those cakes! The tea selection is inspired by Alice in Wonderland and will ensure your experience of going down the rabbit hole is one most memorable. 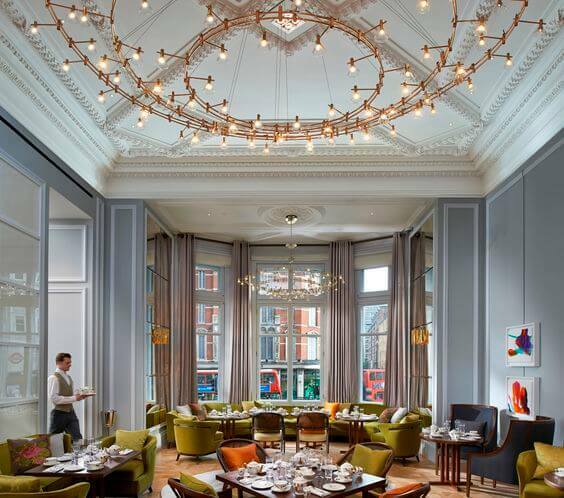 The atmosphere at the Mandarin Oriental is known for its incredibly regal and stylish interiors. Afternoon tea is served in The Rosebury Lounge where they have their own tea master who has blended different teas to give flavours unique to the Mandarin Oriental. Afternoon tea is served in the stunning Winter Garden. Upon entering the hotel, its clear there is a lot of history associated with it. The atmosphere is fresh, light and airy. This is one of the few luxury places you’ll come across where they’ll continue to re-fill your plates at no additional charge. For a real treat head to the Landmark and you’ll not be disappointed!